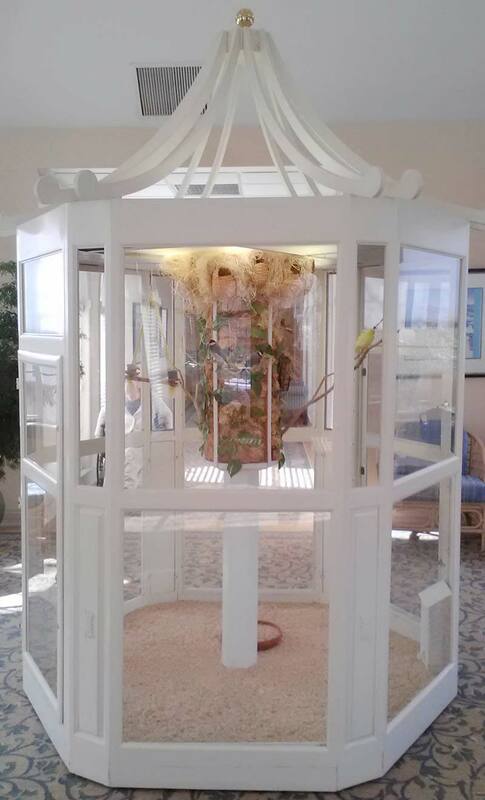 Our Gazebo thrives on the concept of birds in the round with a full 360 degree viewing area. This beautiful handcrafted model will be the focal point of any room. The gentle song of the birds can be heard through the breathing and sound ports on the beveled corners. The bottom half of each beveled corner features beautiful oak. The hand-applied stain adds to the warm, luxurious feel whether you choose our standard Golden Oak or Fruitwood color or choose a custom color. We will match to meet your needs; we just need the manufacturer, stain number and color to do so. 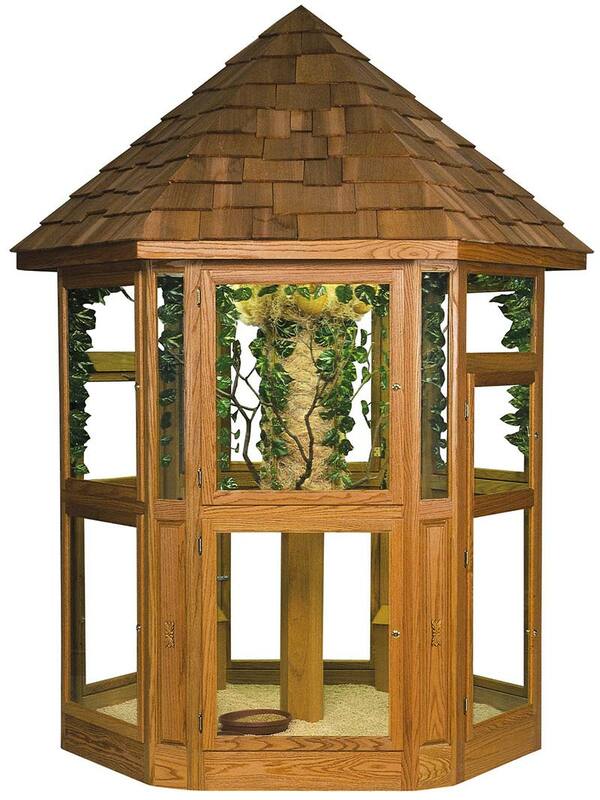 6 or 8 feet diameter, with or without a roof, this aviary is a statement piece.